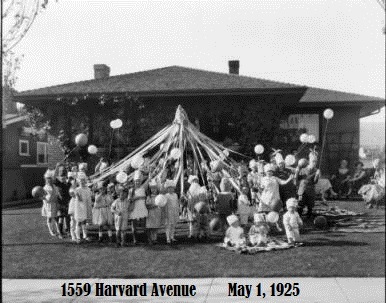 The Prairie School bungalow at 1559 Harvard Avenue was built 99 years ago in 1917. Alvin and LaVon Goodspeed were its first owners and moved in that year, just a few months after the birth of their daughter Muriel on May Day, May 1, 1917. Alvin was a traveling salesman and LaVon was a granddaughter of LDS Prophet Lorenzo Snow. 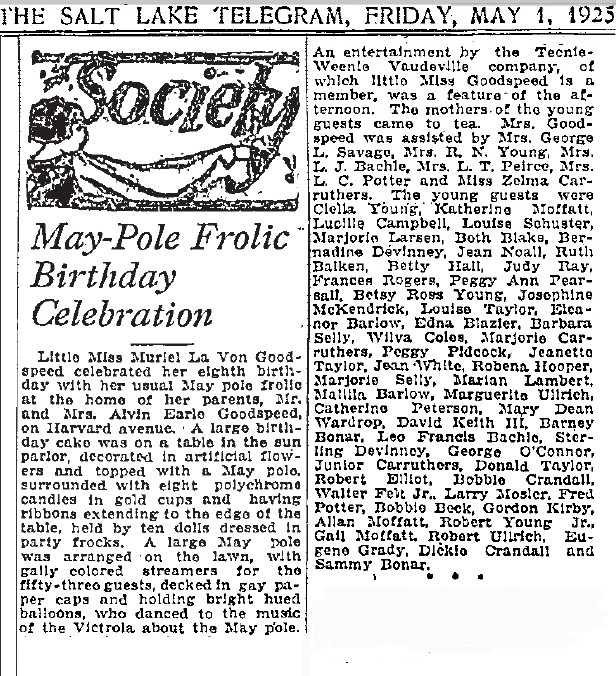 Muriel’s eighth birthday party on May Day 1925 was reported in the Salt Lake Telegram and featured a May Pole on the front lawn. As a child, Muriel showed great talent singing and dancing so her parents enrolled her at age 8 in the Theodore Kosloff Dance Studio in Los Angeles. 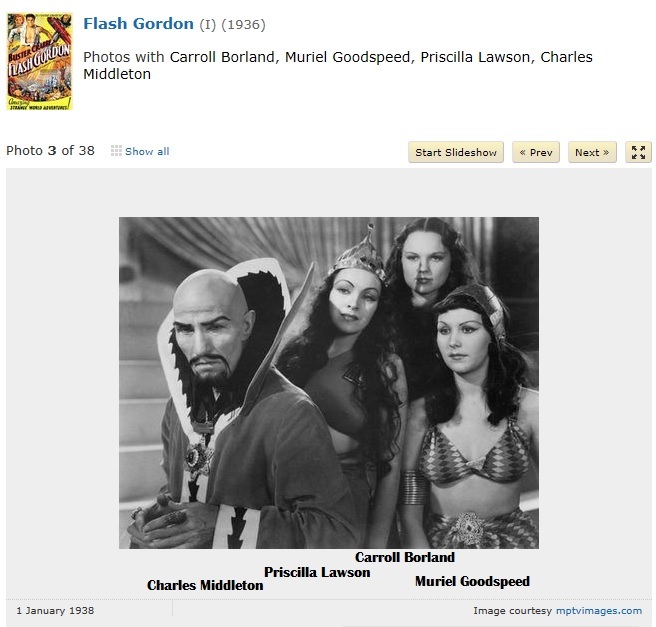 After graduating from East High School in 1934, LaVon and Muriel moved to Los Angeles to give Muriel her chance to star in Hollywood motion pictures. 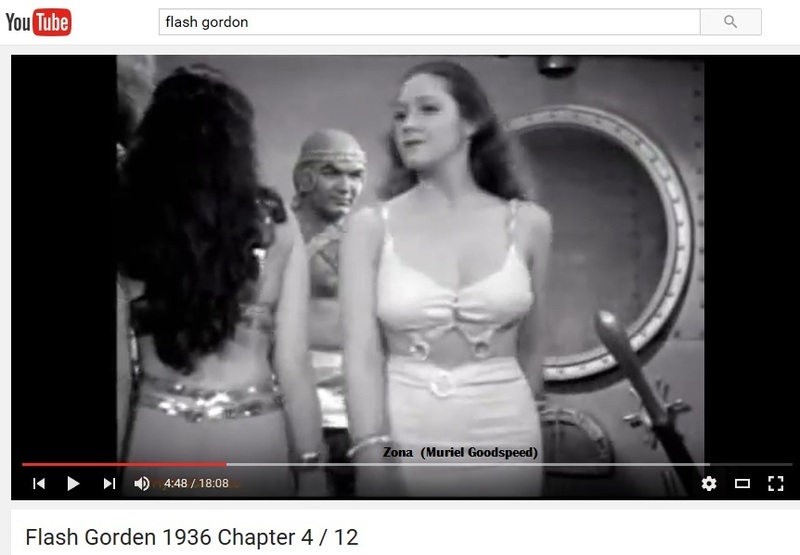 In 1936, she appeared in the first “Flash Gordon” movie serials starring Buster Crabbe and Jean Rogers. 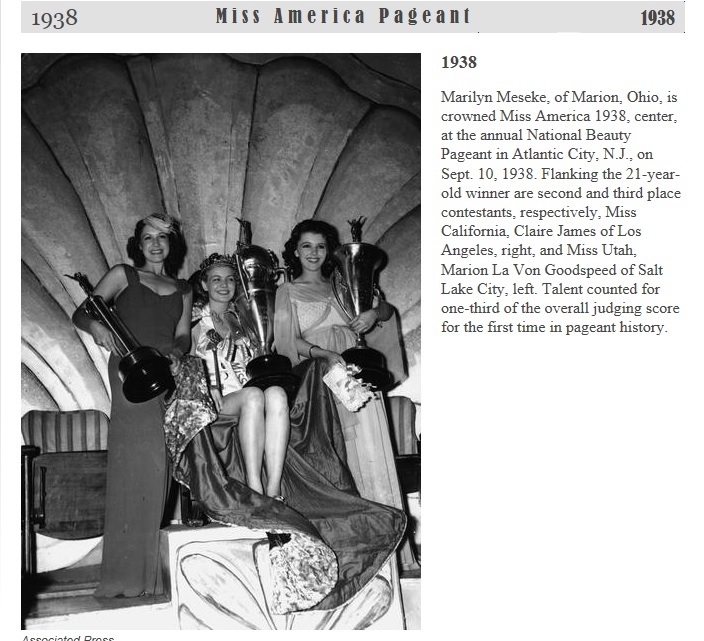 In August 1938, Muriel earned the title Miss Utah and a month later won the Miss America talent competition to become second runner-up to Miss America, 1938. Muriel hasn’t been the only Harvard Avenue resident to be crowned Miss Utah. Loi-Anne Bailey, daughter of Loile and Anna Bailey, long-time residents of 1553 Harvard Avenue, became Miss Utah 1964 and competed in the 1964 Miss America Pageant. 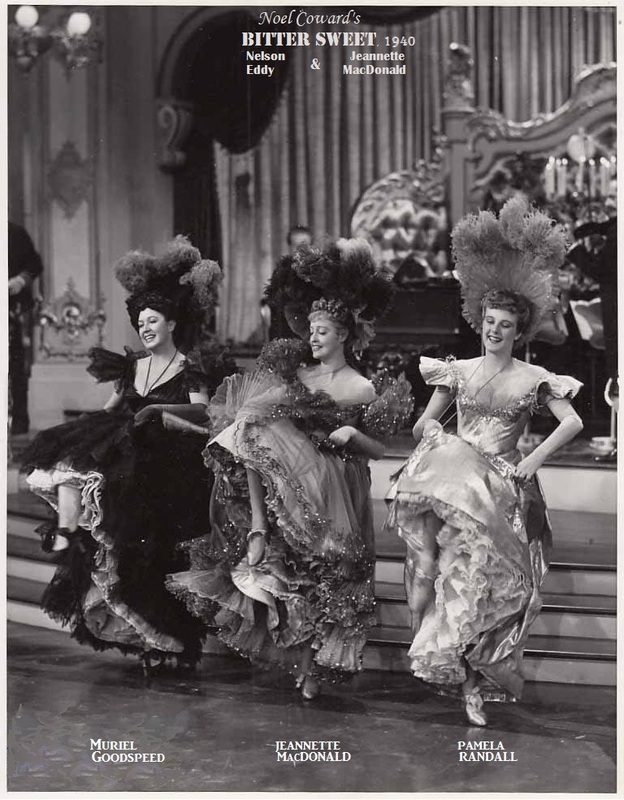 Muriel Goodspeed became the vocal backup and understudy to Jeanette MacDonald and went on to appear in the 1940 Nelson Eddy and Jeanette MacDonald musical, “Bitter Sweet,” and the 1943 film “Presenting Lily Mars,” starring Judy Garland and Van Heflin. She traveled with other celebrities on the World War II Bond Tours. Married for sixty years, Muriel had three children. After raising them, she continued teaching music lessons for many years to many piano students in Southern California. She produced and performed in many local musical shows into her mid-eighties. 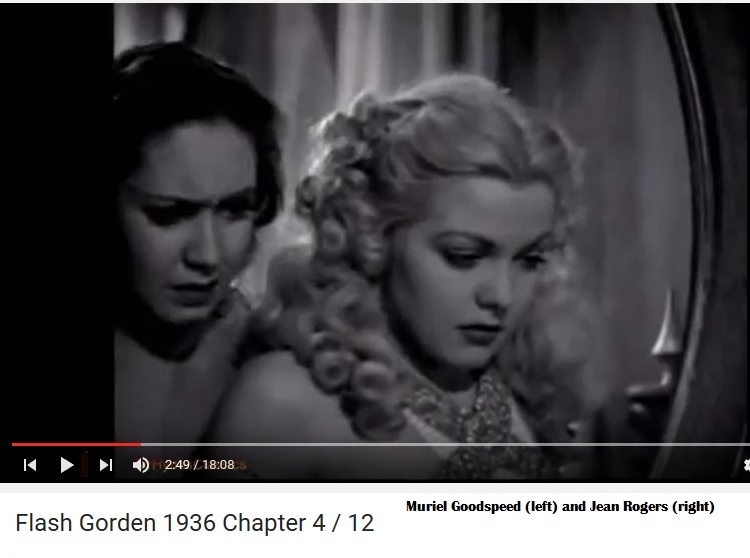 Muriel died in 2005 at the age of 87.